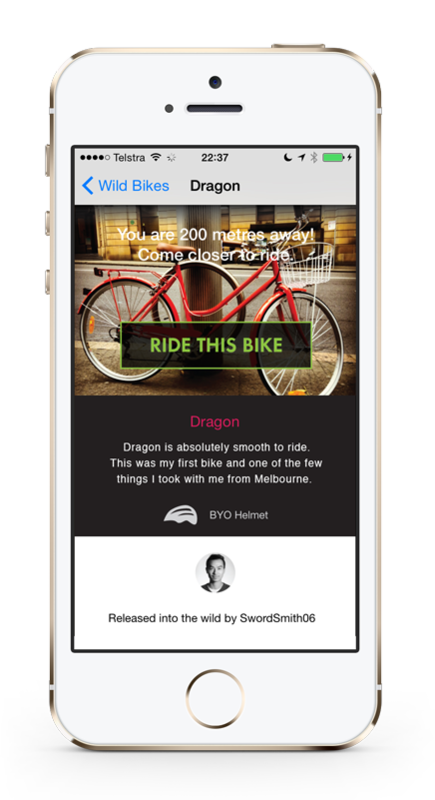 Wild Bikes is a proof of concept app built during the 24hr BattleHack Sydney 2014. In Sydney we have a problem. Bicycles are currently not seen as credible forms of transport, and this creates an air of danger and intimidation when cycling. We see this as a problem with the cultural fabric of Sydney to be solved. Bicycle awareness needs to be woven into our cultural fabric. The Cycle Strategy and Action Plan 2007-2017 recommends that the best way to do this is simply by introducing more cyclists to roads, which will gradually change the perception of cycling as a first-class form of transport. Our solution to this problem is to make cycling more accessible in a novel way, with a donation-based, non-profit community organised by our app. Bikes can be donated to the community by altruists, which can be rented out for a fee. 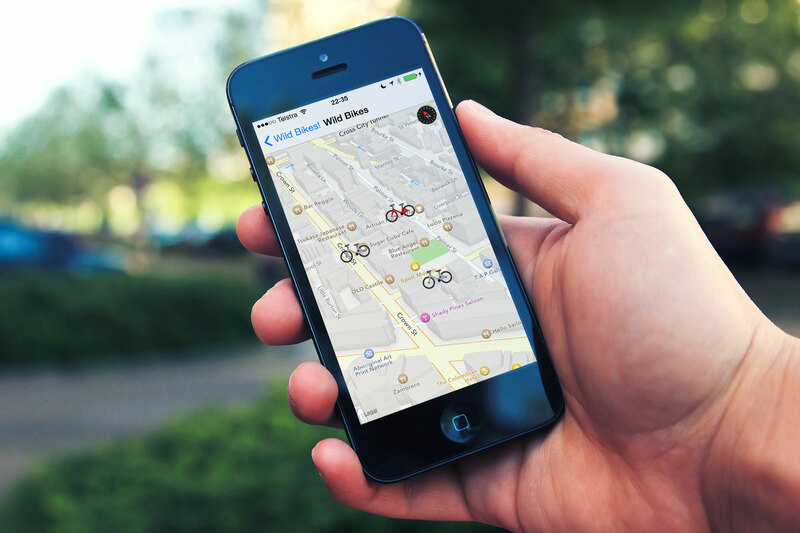 The fees are donated 100% to a charity — get a ride, help the community!